Ski trips are quite fun, but very expensive. That's been the reason why my family and I have not gone on a trip together for about six years. 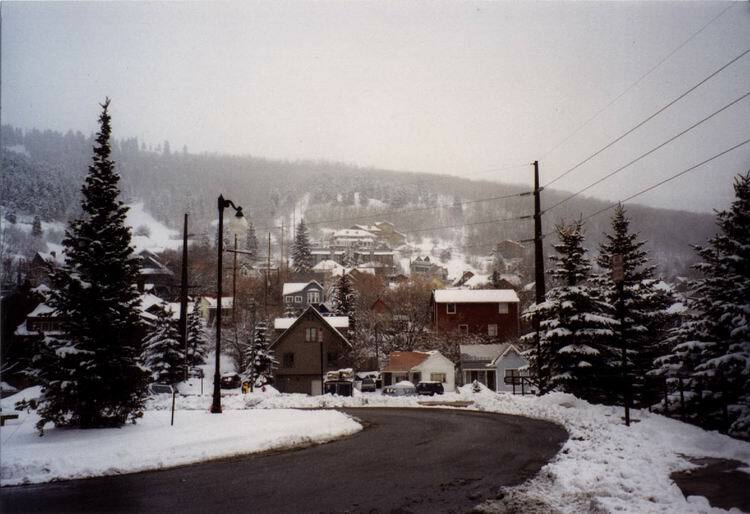 Six years was just too long though, so this winter we packed our snow clothes, strapped my fathers skis to the roof and drove to Park City, Utah, a ski resort in the Rockies. We were hosted and housed by a friend of my father who collects art, quite a bit of it. His collection and the still-quaint town of Park City were very nice, but that is not why we came. We came to ski, so ski we did. The first day was rather average. My father skied and I snowboarded at the Park City Resort, which was rather average, but still fun if you haven't skied for over a year. Day two however, we went to a new resort called "Canyons". Beautiful. The runs were almost empty and the snow good. At one point I insisted my father stop for a second and look around. Incredible. Just us, the trees, the snow, and the view. We stood there for about five minutes without seeing another human being. Very, very nice. Skiing is expensive however, and I had pretty much decided that I was done for the trip. Then I got in touch with Ashley Williams, and old friend from grade school and up. She and her husband Randy wanted to go snowboarding with me, and although they lived in Park City, they described themselves as similar to me in skill. So we decided to go for a day of skiing. That evening we went to see the place where Ashley and Randy lived. Ashley's mother is very rich, so one would expect her "house in the mountains" to be lavish. It was hardly believable. We took some photos of the entryway and the living room, but not of the rest of the house. Look at the slide show and you'll get the idea.